HMRC’s Making Tax Digital (MTD) initiative was first announced in 2015 and plans to fully modernise the tax system. It makes it easier for individuals and businesses to manage their financial affairs by introducing a new online tax system, providing everyone with a personalised tax account containing relevant, up-to-date information. The initiative will come into effect by April 2019 and is compulsory for all VAT registered businesses with a turnover above the VAT threshold (£85,000), this will therefore include the majority of Microsoft Dynamics NAV and Microsoft Dynamics 365 Business Central users. HMRC aims to become one of the most digitally advanced tax administrations in the world and streamline the tax system to be more efficient, reducing the estimated £8 billion that is lost every year due to avoidable tax errors. How will Making Tax Digital improve taxes? The days of rifling through a year’s worth of receipts and filling out annual tax returns by hand are gone; the computerised system keeps information secure and gives you an up-to-date, comprehensive view of your financials in one central account. All information can be updated and accessed at any time from any device and customers and agents can interact with HMRC through webchat messaging at any time. Tax data, such as revenue and expenses will be submitted quarterly, rather than annually, meaning there is less chance of errors and repayment bills don’t build-up. The system gives full transparency of how much tax is owed throughout the year, including any liabilities and entitlements you may have. 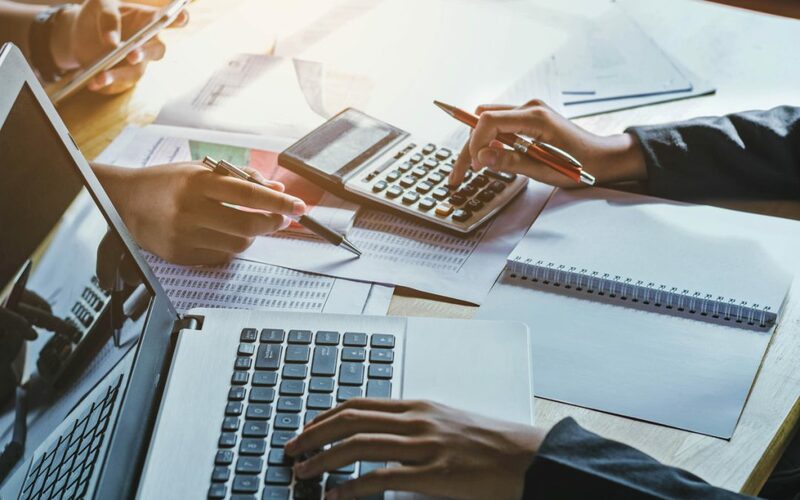 This new process helps businesses stay on top of their taxes all year round, rather than leaving it until March/April to work everything out, reducing overhead and minimising errors. With regular quarterly updates, a better picture of your taxes can be seen throughout the year, with the ability to log on and see your tax balance at any time. Businesses get a more accurate picture of their taxes, helping plan and budget more effectively, rather than leaving it to guesswork. Making Tax Digital helps streamline current tax processes, making all the procedures easier and less time-consuming. Timely administrative tasks can be automated through software, making it easier to complete and less prone to errors. The digital software gives a full picture and collates all necessary and relevant information to help with taxes under one system. Information can easily be updated and HMRC won’t require any information that they already have or can get from places such as banks, building societies and other government departments. How will Making Tax Digital affect businesses? HMRC has stated that it won’t provide software for organisations. However, if you use a Microsoft Dynamics solution, digital records are already kept for each transaction in the system. To comply with MTD, your system needs to use an Application Programme Interface (API) to digitally link between HMRC and electronic records. There may be costs involved during the transition, as new software may need to be implemented and staff training may be required, but the reduction in errors and administrative overhead after the initial transition will likely mean that money is saved overall. With over £3.5 billion in revenue being lost due to VAT errors in financial year 2014/15, MTD will certainly save money in the long run. How is Microsoft supporting Making Tax Digital? Microsoft has confirmed that supported versions of Microsoft Dynamics NAV (2015+) and Microsoft Dynamics 365 Business Central will comply with Making Tax Digital. HMRC have recently been presented with a demo of the solution and confirmed test with integrating to their APIs. Microsoft Dynamics NAV and Dynamics 365 Business Central are now included on the list HRMC is maintaining which compiles all the software products which support Making Tax Digital. When will Making Tax Digital features be released? 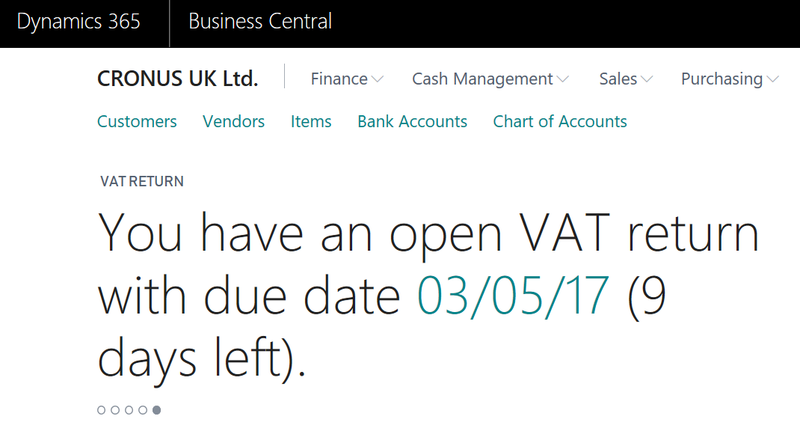 Microsoft are aiming to release new functionality to support Making Tax Digital in the December update of Dynamics 365 Business Central and Dynamics NAV. Once released, documentation will be available on the Microsoft Website. It will explain how to set up the connection to HMRC and what you need to set up in Business Central to successfully submit your VAT Return through the Making Tax Digital system from April 1st 2019. Some frequently asked questions regarding the impact on businesses for Making Tax Digital in the United Kingdom, answered by Microsoft. Q: We are using Dynamics NAV. Will this software enable my business to be compliant with Making Tax Digital? A: Absolutely. We will ensure that all supported versions of Dynamics NAV will support Making Tax Digital when it is enforced in 2019. Q: We are using Dynamics 365 for Finance & Operations, Business Edition. Will this Cloud service enable my business to be compliant with Making Tax Digital? A: Certainly. That is one of the benefits of using a Cloud service like Dynamics 365 for Finance & Operations, Business Edition. At Microsoft, we have a commitment to enable our customers to be compliant. Q: What is Microsoft doing to ensure that customers using one of the above are able to be compliant when Making Tax Digital is enforced by the HMRC in the United Kingdom? A: Collaboration. Microsoft is engaged in dialogue with the HMRC and advisory groups in the United Kingdom, so we have our software support Making Tax Digital in a way that supports your business. Q: When will Microsoft release a roadmap describing the way towards Making Tax Digital for Dynamics NAV? A: Soon! When we and the Making Tax Digital community have a good understanding of what is required for the impacted businesses we can begin reviewing current product capabilities and how/where to change the product. Q: We currently have no accounting software. Can Microsoft help us with a solution? A: Sure! No matter if you have managed your business using Excel or other bookkeeping tools you can benefit from a Cloud service like Dynamics 365 for Finance & Operations, Business Edition available in the UK. Legislation or implementation changes by the HMRC may occur before April 2019 and Microsoft will follow the development closely so we can support your business all the way and help you be ready for Making Tax Digital. What Making Tax Digital features are Microsoft releasing? 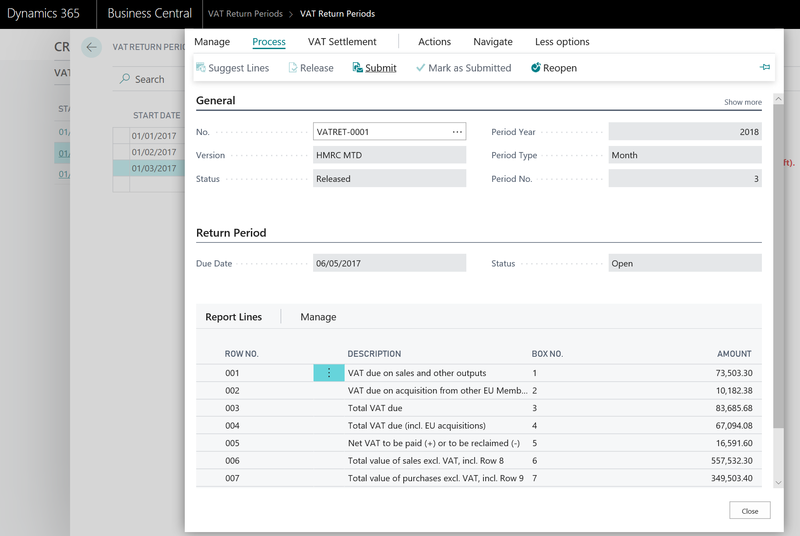 New Dynamics 365 Business Central and Dynamics NAV functionality will support Making Tax Digital and provide you with a 360-degree solution for VAT management and make it easy to complete VAT reporting. Visibility into VAT obligations—HMRC has made it possible for Business Central to securely access your companies VAT obligations through HMRC’s systems in a secure way. It can now retrieve and store them inside the system and call them VAT Return Periods. These will let you know about current VAT obligations, which period should be reported and when. Creating VAT returns based on VAT obligations—When creating a new VAT return, you will not need to enter any dates. This is because the start/end dates of your VAT obligations are already stored, allowing for a one-click creation of a VAT return. Reminding users of upcoming VAT obligations—Because the VAT obligation is stored in the system, this means the due dates are also automatically known. 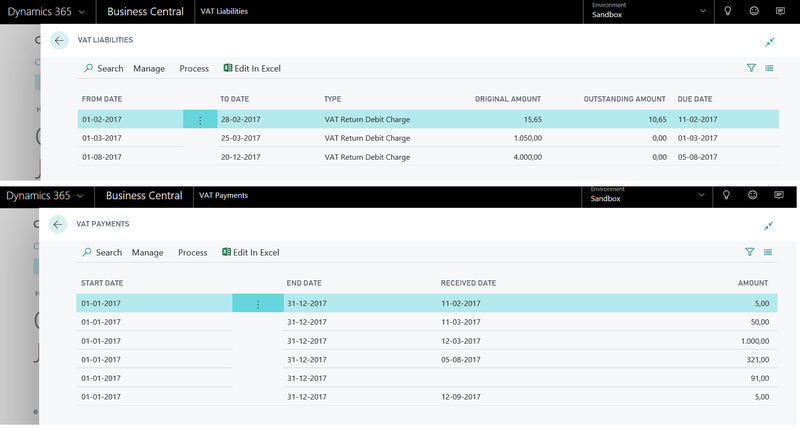 The MTD enhancement to NAV and Business Central will remind the users that VAT returns are upcoming, ensuring that they won’t be forgotten. Submitting the VAT return to HMRC—Standard functionality in Dynamics can be used to create VAT returns, then Business Central can calculate the numbers to report in the VAT return. The system will suggest to calculate VAT based on the period retrieved from HMRC, meaning there is very little for users to worry about. Submitting VAT returns is a one-click operation with a receipt immediately created. Viewing your VAT liabilities and payment—HMRC is making your VAT liabilities retrievable through APIs. Business Central can retrieve these so they can be viewed in the application, allowing you to get an overview of your VAT payment status with the HMRC. These new features give organisations an easy way to comply with Making Tax Digital and provide a complete overview of your VAT and the information the HMRC has stored about your obligations, returns, liabilities and payments. What are Microsoft doing for D365FO where a business operates a VAT Group i.e. more than one entity with same VAT registration number. How will D365FO combine the VAT values of the entities for one digital submission? We focus primarily on Microsoft Dynamics 365 Business Central, rather than Finance & Operations — however, we have found that Microsoft’s current Making Tax Digital update doesn’t cover group VAT posting. We expect that Microsoft will be working on group VAT posting functionality for the next update, we’ll update this post when we get further information.